This frigid weather has me reaching for all my chunky scarves- the bigger, the better! This latest one is so warm and cozy! I knit it using 2 strands of yarn at once, so it’s extra plush. I made the length nice and long so it can be wrapped around your neck. 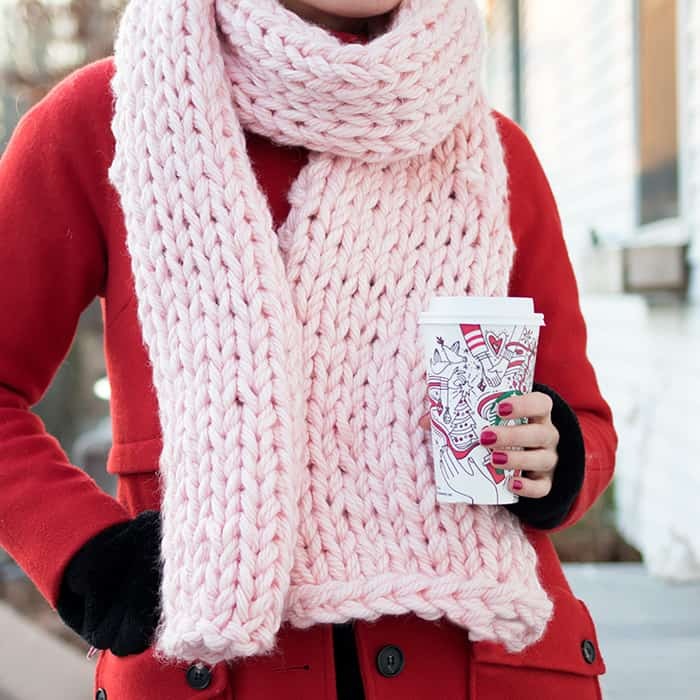 This Jumbo Scarf knitting pattern is perfect for beginners. Gauge= 2 inches= 2 sts. Using 2 strands of yarn at the same time, cast on 12 sts. Work in Stockinette stitch until piece measures 76 inches. Bind off on a right side row. Weave in ends.